When setting up a vScope for the first time, you will be given three options. One of these option says “I have a code”. This is the view in which you input the code and your vScope installation will be magically licensed! 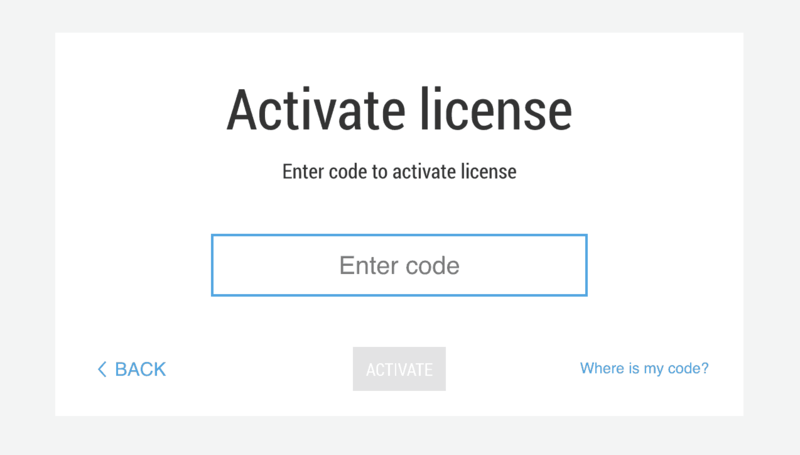 Under the About page in vScope, you will find a “Activate New License” button. Click on it and enter the code in the input field that appears.